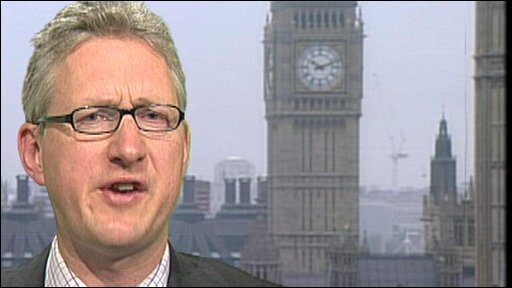 Liberal Democrat MP Lembit Opik says he is willing to repay a £40 summons for non-payment of council tax claimed on his parliamentary expenses. The MP for Montgomeryshire has become the latest from Wales caught up in the row as The Daily Telegraph focuses on the Liberal Democrats. It says that he claimed for the summons on his second home expenses in 2006. Mr Opik told BBC Wales his brother had recently died and at the time he had more important things on his mind. The MP said: "Sadly the Telegraph don't tell you that they sent me eight questions relating to about £30,000 of expenditure and all they have been left with is this £40. "They don't tell you that my brother had died in November 2005 and funnily enough the council tax in London was not the highest thing on my mind at the time. "The Telegraph have absolutely no empathy and no understanding, no willingness to give you the whole story, and that's tragic." Mr Opik, the party's former housing spokesman, told BBC Radio Wales he was willing to repay the money. "I'm going to speak to the fees office and I'm certainly willing to refund it, if that's the right thing to do," he added. The Telegraph also reported Mr Opik made a claim for £2,499 for a 42-inch screen plasma television which was turned down as it was purchased while parliament was dissolved. Mr Opik said he was "well under the allowance" at the time and only submitted the claim after first discussing it with the parliamentary authorities. He said he eventually bought a television that cost £750. The newspaper said Mr Opik had claimed a total of £68,031 for his second home flat in London since 2004. The details of 12 Liberal Democrat MPs' claims are the latest published by the newspaper. But Mr Opik claimed the paper had lost moral authority by using "stolen information." "Of course we do have a big issue with expenses. I don't think the Telegraph is the right paper to tell you what is wrong with them," he added. "I have said in parliament for a long time that we should actually eliminate the entire expenses system - do away with it apart from travel. "We should have a salary set by an independent body and we should have a travel expense and that's it."